The Tennessee Department of Human Services (DHS) administers the Tennessee Child Support Program. The DHS child support program assists parents in the financial support of their children by providing services to ensure that child support payments are made and received. Some of the services provided include helping to locate a parent who has disappeared, helping to establish paternity, assisting with the collection and disbursement of child support payments and enforcing child support orders. DHS can even assist in enforcing orders issued in other states. 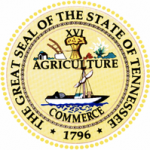 Tennessee also provides an online interface to access your child support account.